NMUSAF EXPANSION IS OF PRESIDENTIAL PROPORTIONS! I remember way, way back, not back to the future kind of back, but a while ago as a kid touring our National Museum of the United States Air Force or as we called it then the Air Force Museum on a school field trip, marveling at all the cool aircraft, rockets, aviation related artifacts, etc. Never wanting to leave because a math test at school loomed. Now all these years later it’s still amazing and about to get even more amazinger … Wait, that’s not a word, but you know what I’m saying. The museum is expanding big time and I, for one, cannot wait. That’s right the world’s largest military aviation museum is getting bigger and you can be one of the first to visit the new fourth building, which opens to the public on June 8, 2016. More than 70 aircraft in four new galleries, Presidential, Research & Development, Space and Global Reach. You can board a space shuttle, walk through four presidential aircraft, look inside cargo planes, enjoy new educational opportunities in three STEM Learning Nodes and much more -- all with FREE admission and parking. Plus, try out the Air Force Museum Foundation’s new suite of simulator rides including the Pulseworks’ Virtual Reality Transporter (for a small fee), the first of its kind in North America, featuring an exclusive Space Voyage experience! Special weekend activities and demonstrations are being planned for June 11-12, 2016, to continue celebrating the fourth building opening. 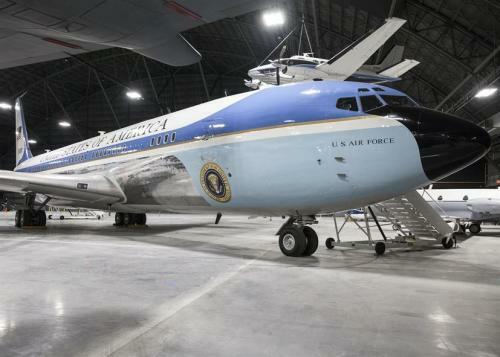 The best part for many means no more bus shuttle trips across the base to the remote, limited access area to view the presidential aircraft collection---they are now all in the fourth hangar. Yippee! The new 224,000 square foot, climate-controlled fourth building will provide visitors the opportunity to view the historic collection of presidential aircraft, and walk through four of them, including aircraft used by Presidents Roosevelt, Truman, Eisenhower as well as the Boeing VC-137C used by eight presidents, also known as SAM (Special Air Mission) 26000. This is the plane that flew Kennedy’s body back from Dallas and that Johnson was sworn in as president on. 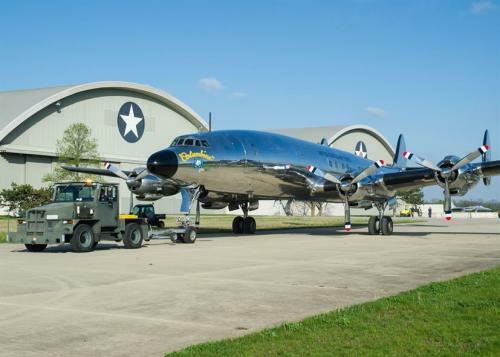 In addition, the building will house aircraft such as the C-141C Hanoi Taxi and the C-130E, which are currently outdoors, as part of the Global Reach Gallery. The new building’s cost of $35.426 million is being privately financed by the Air Force Museum Foundation, a non-profit organization chartered to assist in the development and expansion of the museum&apos;s facilities. Also, the new facility will use the latest in ‘green’ technology complete with WiFi, and is accessible to all with charging stations for electric carts, developing options that will assist visitors who have mobility concerns. The museum&apos;s goal is to have as many aircraft and aerospace vehicles in these galleries as possible, but the museum has thousands of items in storage, and only about 7% of the artifacts that are in the collection here are on display. The Titan IVB rocket is one example of an artifact in storage that is planned to go on display in the fourth building. 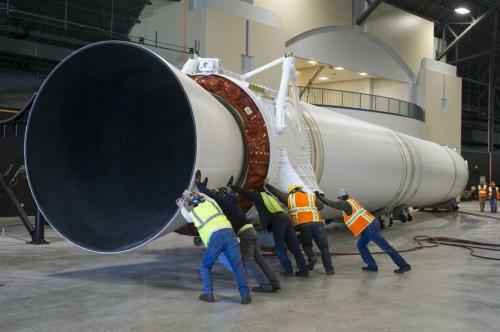 By the way, the rocket is 204 feet tall and weighs 96 tons. In order to display it in-tact horizontally in a safe and secure manner, a robust steel structure stand has been developed to raise it 10 feet from the floor of the fourth building. The Research & Development Gallery will also be relocated from the base and offer visitors the opportunity to view the world&apos;s only remaining XB-70 and other aerospace vehicles. The super cool XB-70 could fly three times the speed of sound and was used as a research aircraft for the advanced study of aerodynamics, propulsion and other subjects. 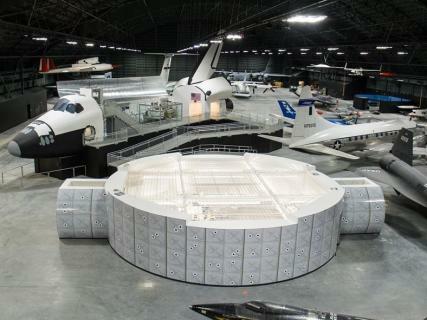 The new Space Gallery will showcase the Space Shuttle Exhibit featuring NASA&apos;s first Crew Compartment Trainer (CCT-1), a high-fidelity representation of a space shuttle crew station used primarily for on-orbit crew training and engineering evaluations. This exhibit is currently located in the Cold War Gallery. OK, who’s excited? Knew you would be! Remember the 4th building opens to the public June 8, 2016. In addition, entertaining and educational activities are being planned from 9 a.m.-4 p.m. on Saturday, June 11 and Sunday, June 12. Most activities free! 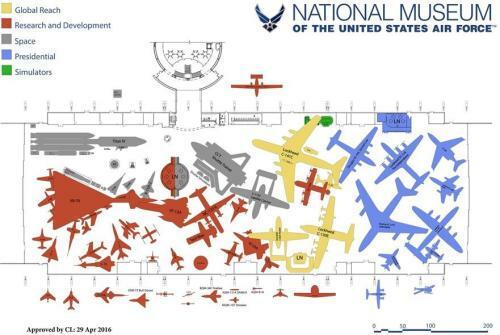 So, the world’s largest air force museum is getting even bigger? Then it’s safe to say it’s the largest in the universe! That’s my opinion and I’m sticking to it.